The Colca canyon measures with a depth of more than 3,000 meters, thus ensuring its fame as the second deepest canyon in the world. A natural habitat to alpacas, llamas and condors, its environment presents excellent conditions for hiking, rock-climbing, parachuting and mountain biking. In addition, pre-Inca archeological sites dot its path with tiny colonial churches, thermal springs and a marvelous landscape, all with the possibility of viewing the swooping condors that pass overhead. Its moderate climate and altitude make Colca canyon a perfect place to acclimatize oneself before continuing the journey to Cusco or Puno. In this program our team is in charge of providing all the necessary facilities and requirements to ensure security and a pleasant tour. 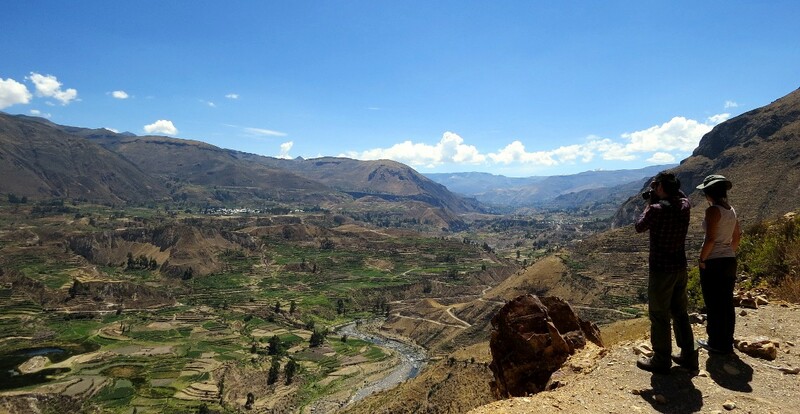 Excursion on Private Coach to the Colca Canyon. Bus stops during the trip to admire the views of the Volcanoes prevalent throughout the region, such as Misti, Chachani, Sabancaya, Ampato and Hualca – Hualca. Possibility of bathing in the Hot Springs at La Calera. 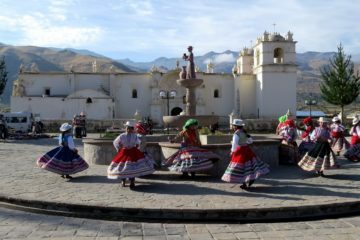 Overnight in Chivay, Colca Valley. 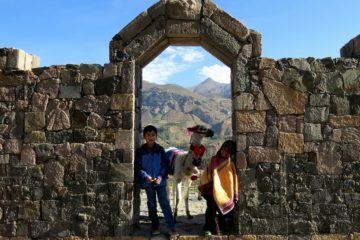 Visit to the Mirador de la Cruz del Condor (The Condor Cross Overlook), possibility of viewing the majestic Condor, king of the Colca Canyon + the fantastical terraces designed by nature and the hand of man. (Cañón Del Colca). Stops along the way to visit villages and features of natural and archaeological beauty. 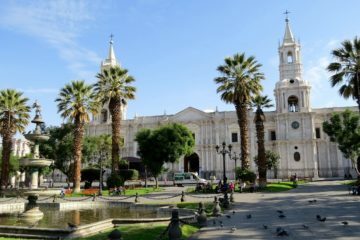 In the afternoon, return to the White City of Arequipa. INCLUDED Transfers and Tours included in the program. Accommodation at selected hotel with breakfast.